Besides, you don't actually have to get married to enjoy the pretty dresses! 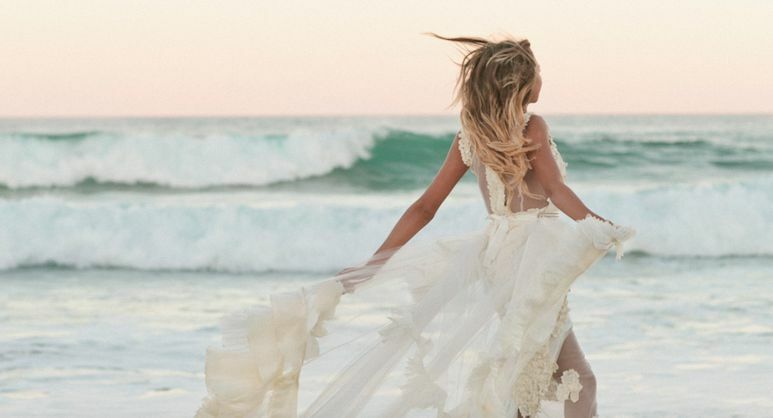 So we’ve lovingly compiled a list of some of the best bridal boutiques on the Gold Coast to help you say "YES" to that dress. This online shop was born in 2013 after it’s bride-to-be mum found a certain lack of options available for her big day. The bold feminine style of each piece is complemented by an old fashion approach to service, where each product is made to measure, and with buckets full of love. And let’s not forget the bros. Their men’s site, Made With Class caters for all your suit related needs to get the hubby dressed and dapper. Grace Loves Lace and after a sneak peek at these luxurious wedding dresses, you will too. Made for a new generation of brides, these pieces are designed and handmade in Australia using French lace and silks. Oo-la-la! These beautiful designs are for the free-spirited, bohemian bride and can be paired with jewellery, shoes, veils and bridesmaid dresses from the store. The team at GLL are a bouquet of passionate ladies that are there to help you every step of the way, from ordering to styling. This Mermaid Waters boutique caters for all your big event needs. Not only do they have a great range of wedding dresses, but they've also got the goods for bridesmaids and formal nights. This award-winning team deal in seriously fine fabrics from designers such as Justin Alexander and Lillian West and can cater to both traditional and modern weddings. Luv Bridal & Formal specialise in quality and affordable gowns for every type of wedding. From your traditional church wedding to barefoot by the sea celebrations, these highly qualified consultants will help you to find the perfect dress to match. With designs from the likes of Mia Solano, Envi and Tiffany Designs, there is something for every beautiful bride. This one is for the lady with stars in her eyes and flowers in her hair. Miami based bridal boutique, Bohemian Brides, has a diverse range for those that believe in a little thing called love. With bohemian and vintage dresses and handmade accessories, this store is the place to go for those garden style or beach wedding vibes. Located in Surfers Paradise this bridal lounge has private dressing rooms and quality lighting to ensure your shopping soirée is as perfect as possible. Their in-house designer has a passion for 1920’s fashion, and her work features heavy textured satins, French lace and layers upon layers of organza. Your wedding dress designs have never been in safer hands than at Strictly Bridal. Their multi-award-winning designer, Ann Wilson, has over 15 years in the bridal business. Her clever designs make the most of stunning materials and fabrics to create wedding looks that are both modern and traditional. These exclusive made to measure wedding dresses are created by local lovely, Helena. Not only is each piece made to perfectly fit your figure, they can also be custom designed and made to suit your personality and wedding style. With over 20 years of experience and a professional and personal service, this is one lady who truly knows her stuff. Currently completing my Bachelor of Communication, I’m a boot-wearing, live-music-lovin’, two-headed Tasmanian living on the Gold Coast. One of my heads enjoys writing, the other loves art. Together they spend their days listening to ‘Electric Avenue’ by Eddy Grant, doing crosswords and drinking red wine.